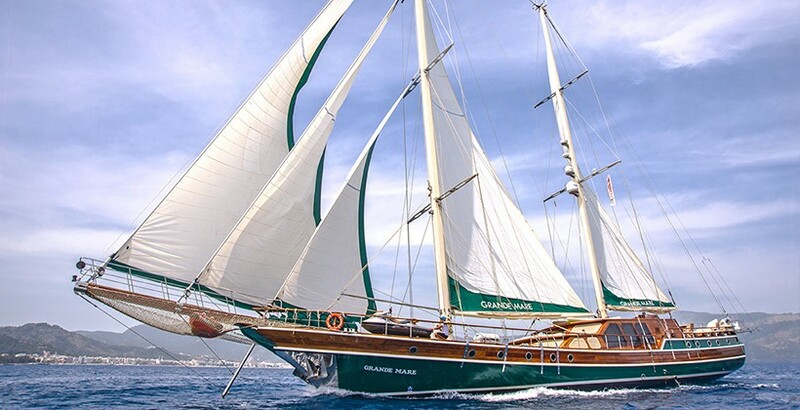 The low line and elegant green natural wooden hull marks the distinctive classical ketch gulet Grande Mare as one of the outstanding gulets built by Bodrum masterbuilders. 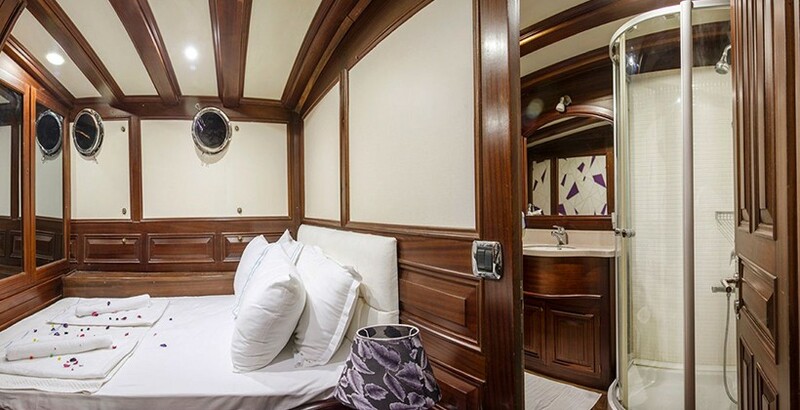 The simple but stylish interiors of the Deluxe sailing gulet add to the luxurious experience enjoyed by up to twelve guests on their gulet cruise. 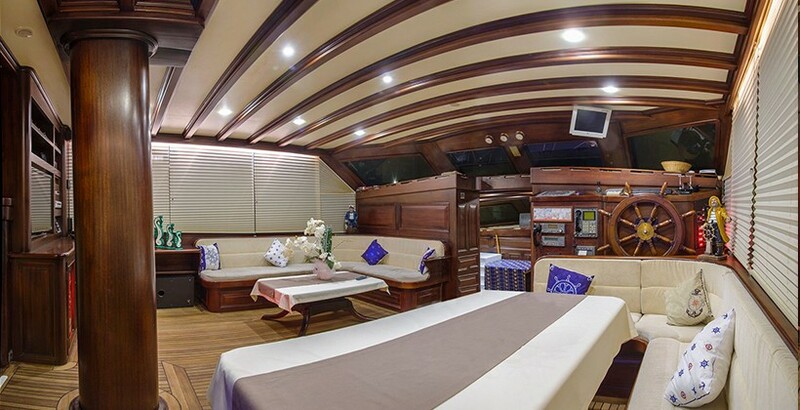 The indoor saloon offers a peaceful shared space for retreat with a very comfortable l-shaded sofa and coffee table for conversations, or enjoying the large TV, DVD, music and internet available for entertainment. 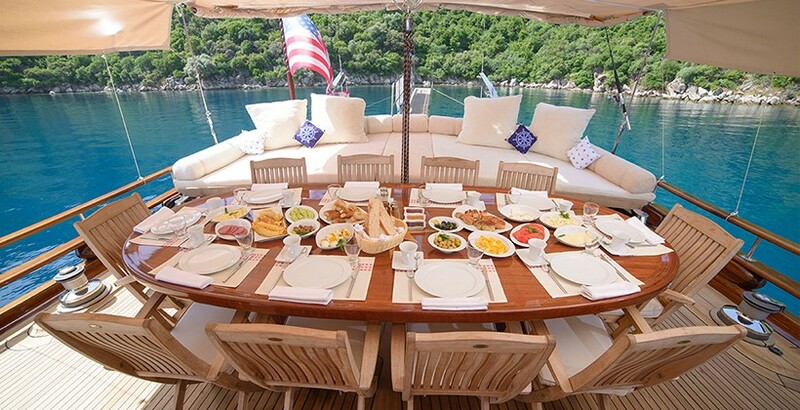 Opposite of stands the full sized dining table which is ideal for either formal entertaining or indoor snacks. 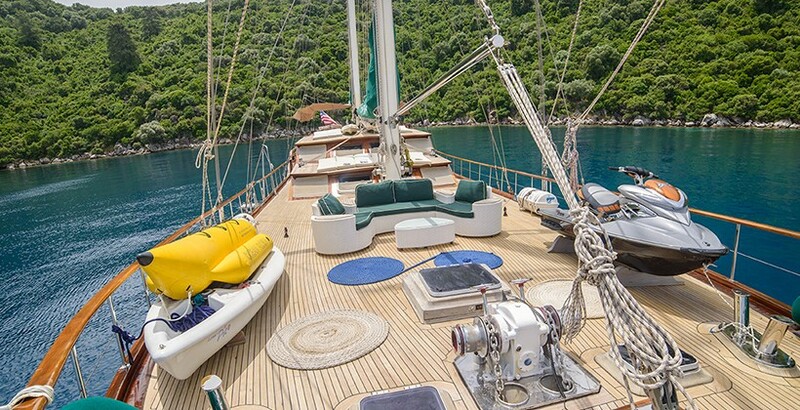 On deck the Grande Mare offers the classic gulet outdoor full dining table and chairs for long relaxed al fresco meals, the very generous almost bed-length bank of inviting cushions across the wide stern and the personal sunbeds with towels on the middle deck above the salon. 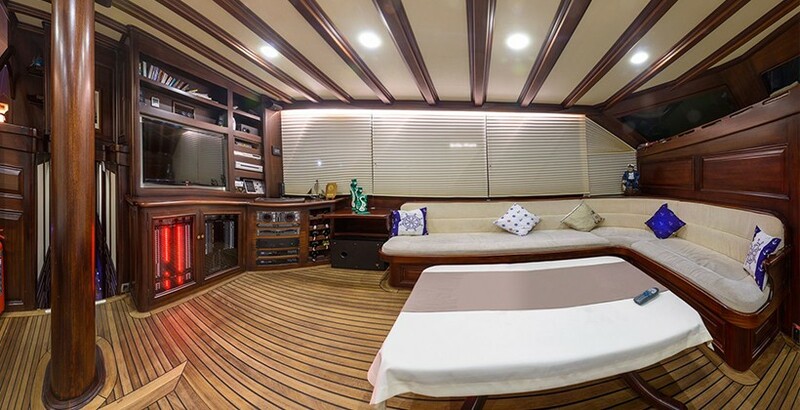 In the bow a comfortable seating bench with green cushions invites to relax or to enjoy the beautiful views. 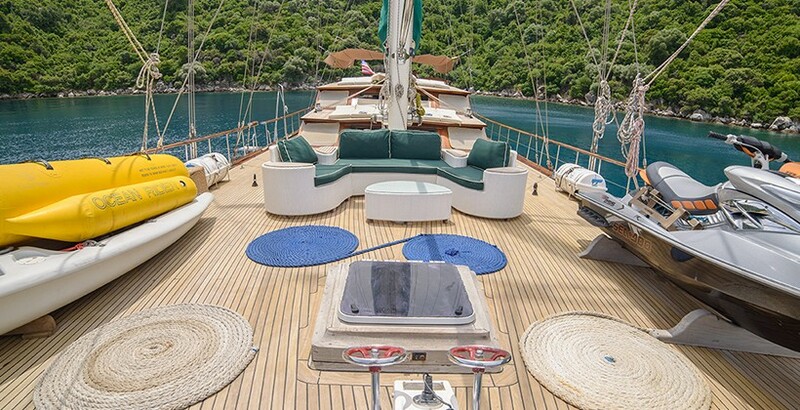 This is the spot beloved by guests for having a sundowner drink at the end of another great day of relaxing. 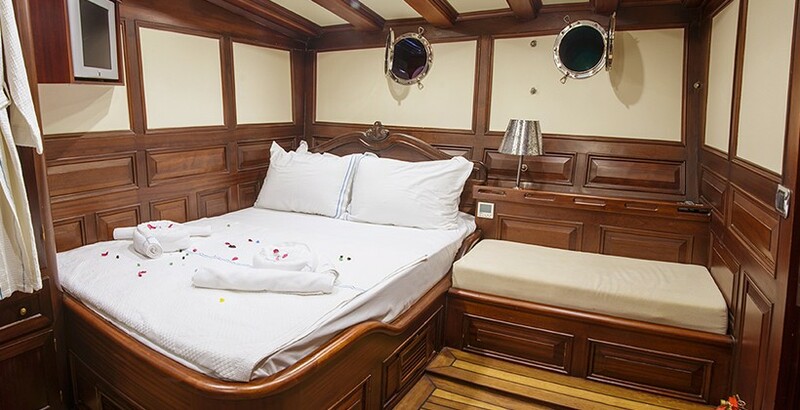 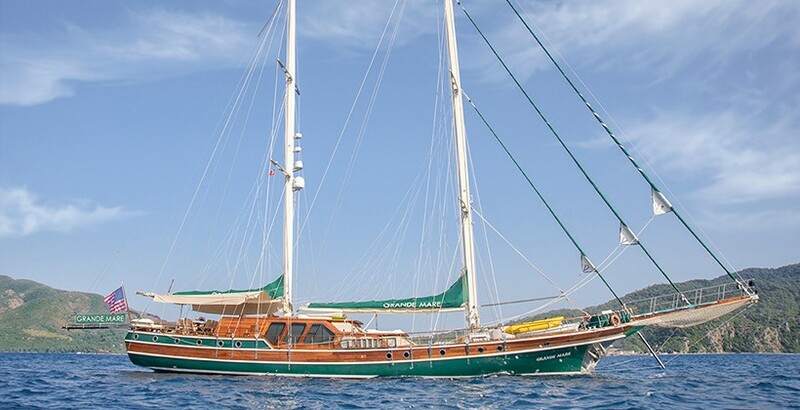 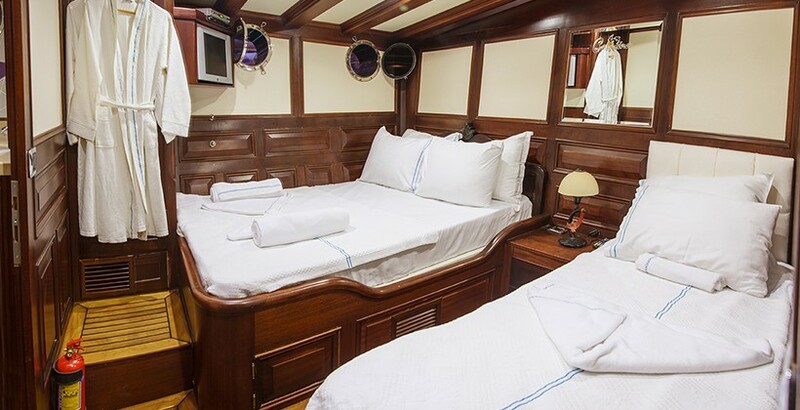 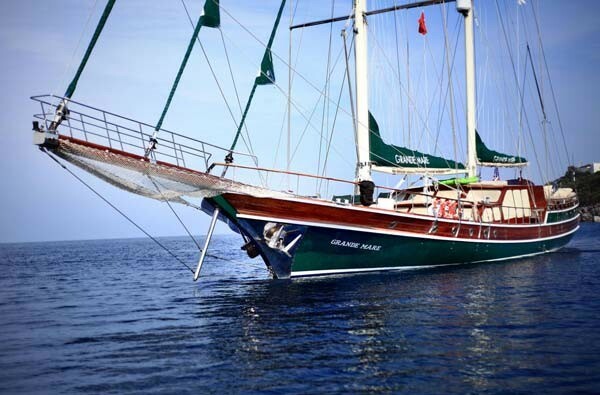 Turkish gullet Grande Mare is very well-equipped with water toys for the active guests aboard, and was also built to sail well with a full technical sailing rig, giving a magical experience for guests to sit back and enjoy. 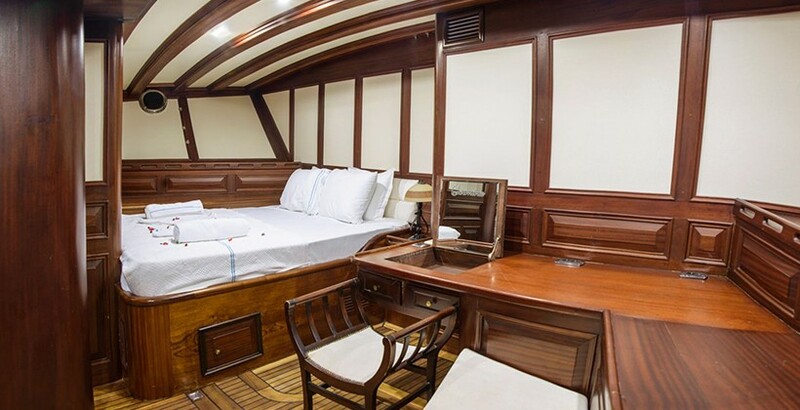 The professional captain and his friendly crew, including the hostess, care for their guests in a very hospitable and professional manner. 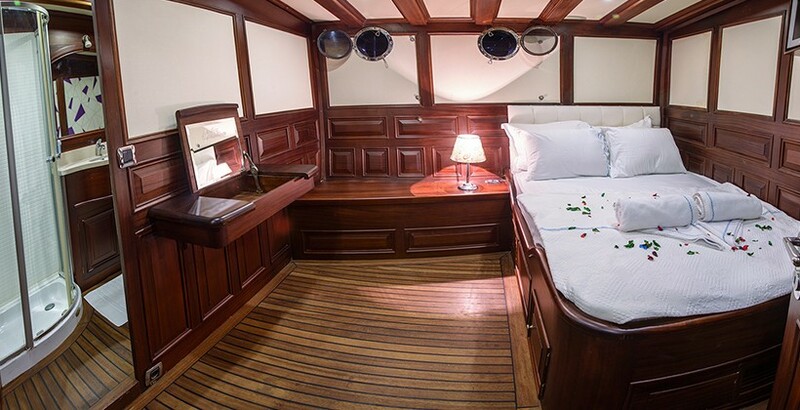 The chef produces excellent food from a very well equipped galley and the crew serves the meals, drinks service, carry out all cleaning and open the sails. 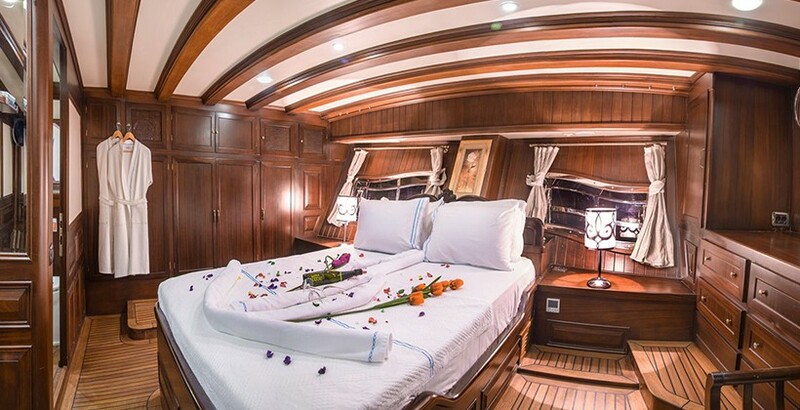 They do all they can for the guests to enjoy themselves on a memorable cruise on a gulet offering excellent value for a luxurious experience along the Turkish coast or into the Greek Dodecanese Islands on the gulet Grande Mare.